One of the more daunting tasks involved in quilting can be picking the absolute perfect fabrics to ensure all the hours of effort you put into your quilt will create a masterpiece you will love forever. That’s a lot of pressure! There are so many schools of thought on how fabrics should and should not match and it really comes down to personal preference and the pattern you choose. This is your labor of love so you’re really the only opinion that matters when you choose your fabric. together and would be considered very safe choices. There is nothing wrong with colors that blend well together when you don’t want any one color to stand out above the rest. There’s no perfect method, I’m simply going to share how to approach picking out fabrics, once you have chosen a pattern. Having a standard plan of attack certainly reduces time. Search for a main fabric that you love. If you have a fabric you can’t live without, the rest of the process is so much easier. Try to be daring in your choice of the main fabric. It will often have variations in color and will have a bold texture or pattern throughout. Then pull colors from that main fabric. This part is relatively easy as you will still be trying to match the colors. Select light and dark options that still have the same tone as the main fabric colors. Finally, take these colors and purposely try to find colors that are complimentary, but don’t necessarily blend and match. For example, if you have chosen several yellow fabrics, some will have more red tones and some may have green tones. They’re all still yellow but they are different variations of yellow and definitely have different textures. Perhaps some are floral and some are polka dot or striped. Once you’ve chosen fabrics that work well together, lay them all out on a table. Make sure you have lots of options so you can pick and choose what will make the final cut. 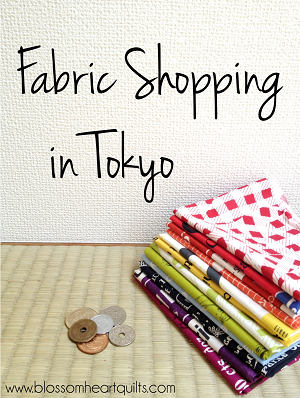 Do your best to choose a fabric shop that has a great selection of fabrics. It’s so much easier to choose your fabric all at once versus going from store to store to find enough fabric. 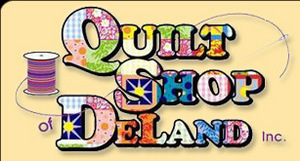 Choose high quality fabrics throughout your quilt. It may be tempting to look at discount fabric stores but you need to consider how your fabrics will age and wash together and choosing some fabrics that are higher end and mixing them with discount fabric will not be a good long-term choice. 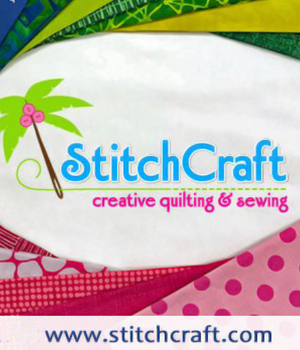 Keep an eye on your fabric stash. Carry a few of your favorite pieces from your stash with you as you choose fabrics. You never know when you’ll be able to squeeze in some of that fabric you already own. Remember there is no wrong approach to quilting if you’re following your passion. Don’t get too hung up on the fabrics you choose. You learn as you go certainly, but if you choose fabrics you like then chances are good you’ll like the end result.